Learning takes place when the teacher interacts with the student. Instruction must be focused on making that interaction most effective. Explicit Direct Instruction (EDI) is a collection of teaching procedures developed by Dataworks from decades of educational research and tested in 45,000 classrooms. These strategies give teachers the tools to produce well-crafted, well-taught lessons that engage the students with the content every two minutes. This interactive teaching maximizes learning. Any content — grade-level and standards-based — can be effectively taught with EDI. The key is to make the content explicit (with seven key components) and the delivery direct (with student engagement norms and just-in-time checking for understanding). Teachers and students will see an immediate improvement in comprehension and attitude when EDI is implemented. 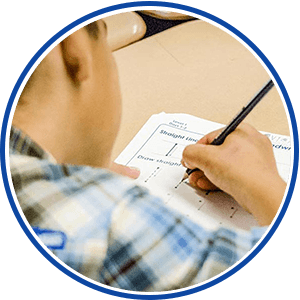 Long-term results have shown improved API score, improved test scores, improved grades, and improved teacher morale. It all starts in the classroom! All students, including English Learners, thrive with Explicit Direct Instruction. Teachers and students will see an immediate improvement in comprehension and attitude when EDI is implemented. Long-term results have shown improved API score, improved test scores, improved grades, and improved teacher morale. It all starts in the classroom! Find out how we can help you do this today! Explicit content is created by focusing first on a clear standards-based, learning objective, and then teaching the concept of the lesson. The concept is the big idea behind all skills. Without the concept, the skills are just rote work with no transfer to real life. Concept development should include a written definition, labeled examples, and higher-order checking-for-understanding questions. Then, the content is made more explicit by applying the concept in guided skill-based exercises with gradual release to independent practice. These steps can be measured by administrators through simple observation forms, and are best implemented when the entire school culture is focused on instructional excellence. Direct delivery is achieved through a dynamic combination of checking for understanding and student engagement norms. Teachers teach, then they check. Right then in the middle of the lesson — constantly. That’s how they verify the students are learning. Checking like this is the heart of good instruction. To engage students, teachers ask students to do something — answer questions, use whiteboards, pair-share, choral read, and more. This engages them with the content of the lesson, and creates the interaction to maximize learning. Two important side benefits are that it actually gets students to use the language, which is particularly important for English Learners, and it also minimizes classroom management problems. "It took about five or six years to get to the innovative level with EDI. We had to go beyond professional development and provide support, accountability, and a new norm. Once teachers experienced EDI, they saw the value. Many teachers have told me they can’t remember how they taught before." Our workshops are backed by classroom-tested strategies for learning that work – in any school, in any district, in any classroom. 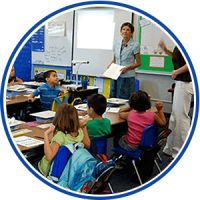 Enhance your existing curriculum services, or use our expertly crafted resources to supplement your adopted curriculum. school-wide so students effectively learn more. as Effective as It Could Be.